Students have the ability to create and/or contribute to their learning plan or other forms such as WEAs, OYAP forms, etc. The process for creating a form or plan is the same for students and teachers. The main difference being, students only see their own information whereas teachers have access to their entire class. The student ID (or OEN) needs to be accurate in order for a student to access forms. If any issues arise, then please check student Settings and ensure that the OEN is accurate (enter the OEN with no dashes). - If your teacher has already entered your course, employer, etc., then this information will automatically appear. When searching for an employer, type in part of the name (e.g. "Shopper" instead of "Shoppers Drug Mart" so that you can avoid adding a duplicate employer or the same employer twice. Some people mistakenly spell a company name (e.g. "Shopper's" instead of "Shoppers"; or, "Drugmart" instead of "Drug Mart". *If an employer, contact or position are missing, then click the + symbol to add any missing information to the employer database directly from the form. 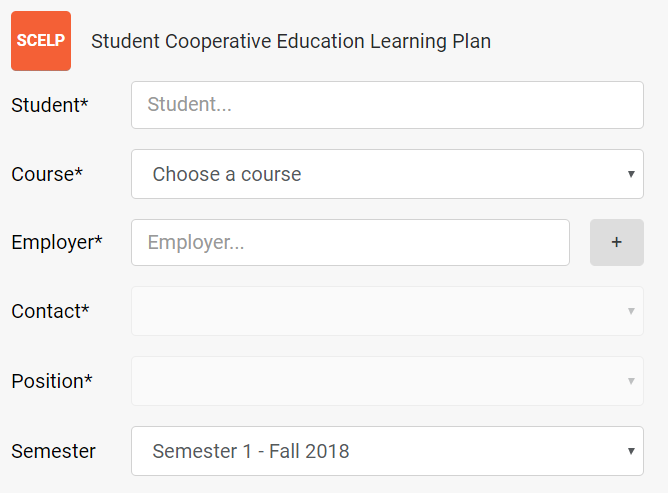 If the “Show more fields” link does not automatically expand for you, then please click the Show more fields link in order to select the name of your Co-op Teacher. Once the above fields have been filled out, click Save. #4: All new forms will appear under Recent Forms (right-side of screen). Click on the plan or form you just created. The following fields will be auto-selected based on selections for this student in previous steps (e.g. Form, Student, Employer, Position, Contact, Course). 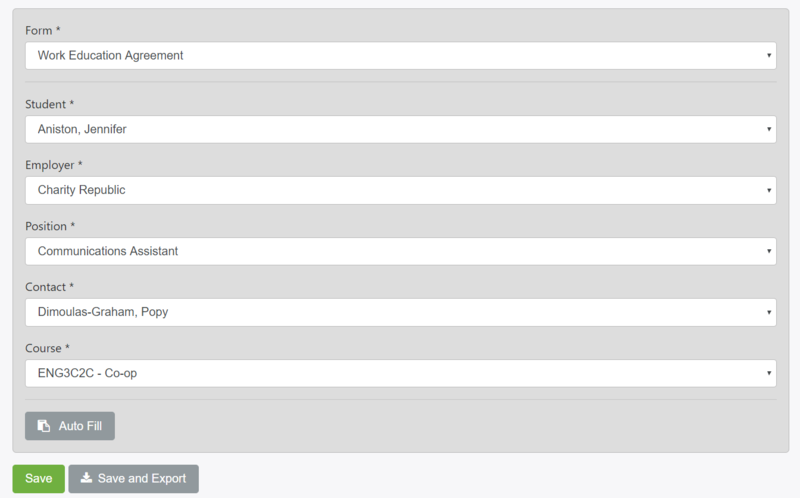 Ensure all of the above fields are auto-selected before selecting the Auto Fill button (see screenshot above). The learning plan will export to PDF or HTML. Note, if the learning plan does not export, please ensure that your pop-up blocker is turned off [see FAQ]. Next Next post: How do I clear cache in Chrome?